PRICE REDUCTION and TWO parcels. Very usable 1.41 acres, all open, cleared and sunny! 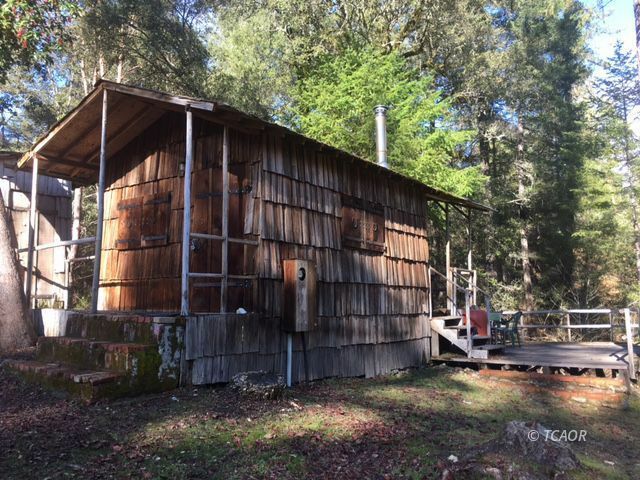 Riparian water rights, water storage tank, power and easy access to this little 1960's 1 room rustic cabin with deck over looking the creek. Property offers and additional outbuilding and outdoor shower. All just Minutes walk to The Trinity River. Seller Financing Available!